Speed Bar Knobs offer the ultimate in strength to hold down covers and clamp heavy work pieces. Insert bar between four vertical prongs for maximum leverage and holding force. 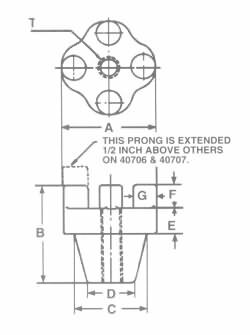 One extra long prong is available on part numbers 40706 and 40707 for use with a crank handle.